A number of charities/ projects have been supported since Latin Quarter (salsa social events & classes) began in Dundee in late 2002. 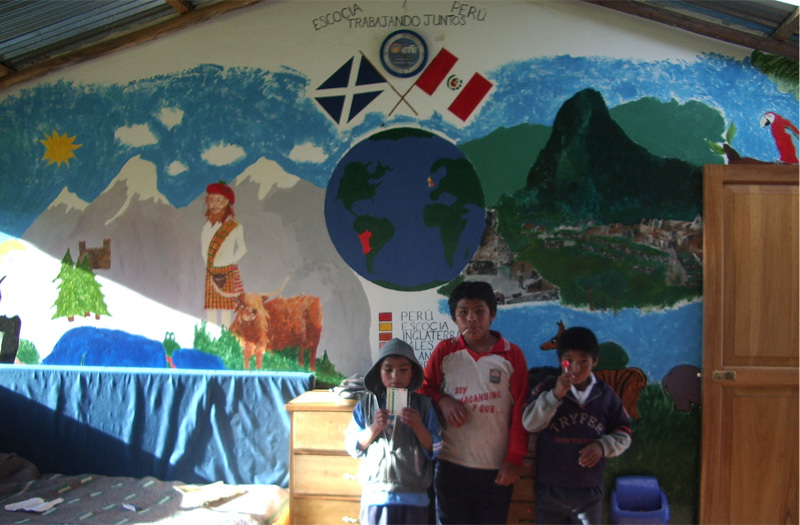 The primary project supported since 2002 is Azul Wasi (formerly Proyecto Colibri) a home for former street children in Peru. See below for more information about supported charities. Many thanks to everyone who has supported Latin Quarter & salsa classes and those who have donated funds. 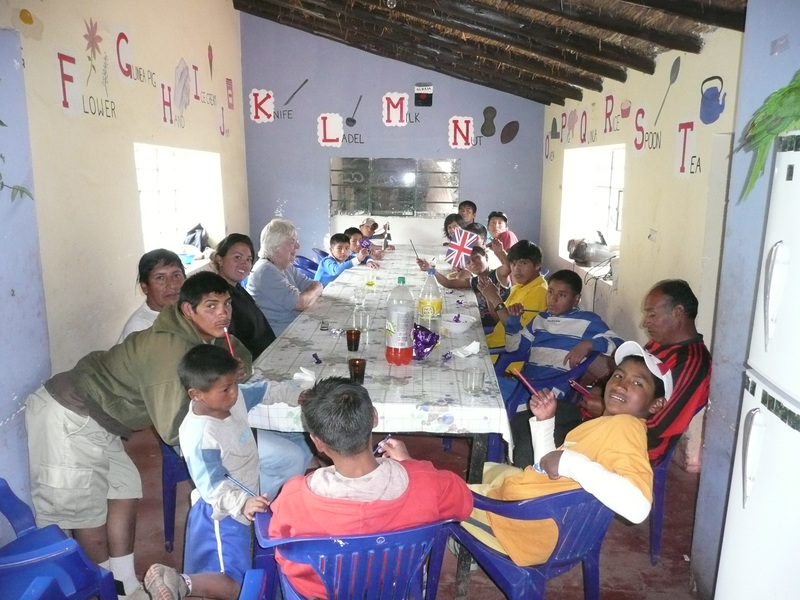 Sarah went on holiday to Peru in Sept 2002 and met the street children in Cusco. A one off salsa party at the end of 2002 was organised to raise money to help the children, which quickly turned into Latin Quarter, as we know it now, regular salsa classes, salsa social nights and live band events in Dundee. 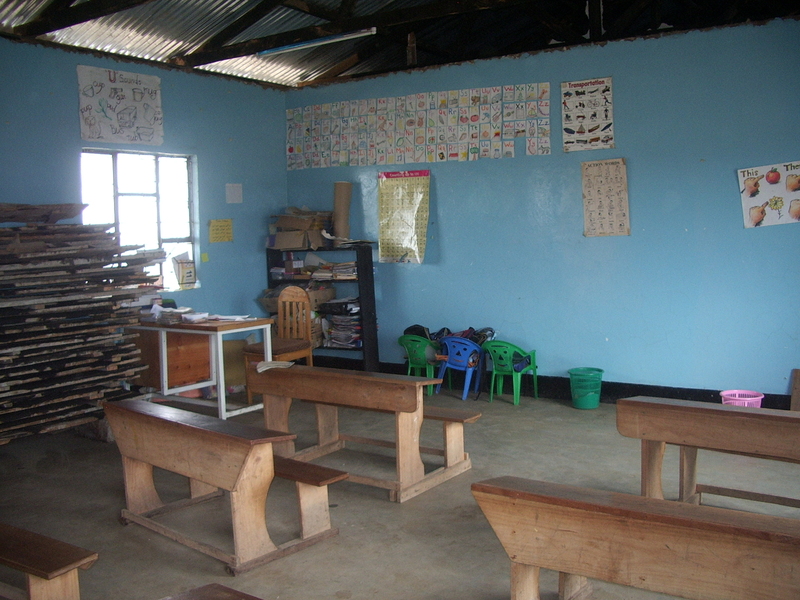 This led to connections with Peace Child International and Tom Jolly from Global Ed. 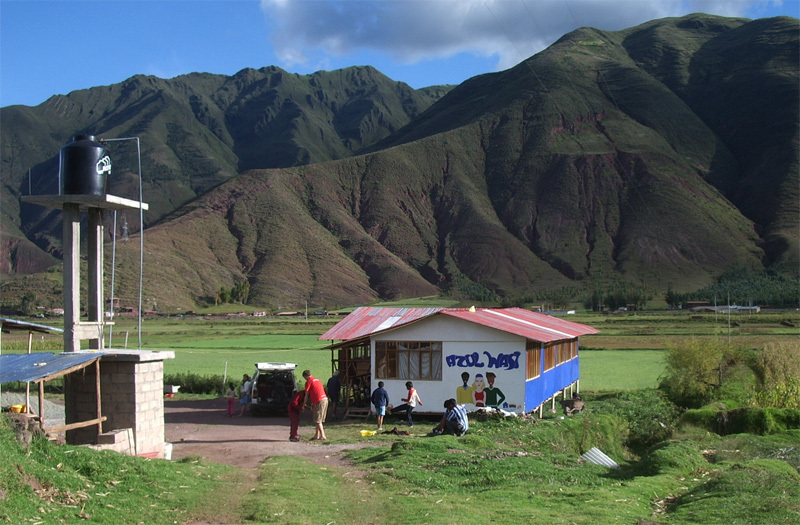 Alcides Jordan Cerda of the Peruvian National Police, working with the Family Unit in Cusco, persuaded his bosses to allow the use of an abandoned farm to house the boys most at risk. 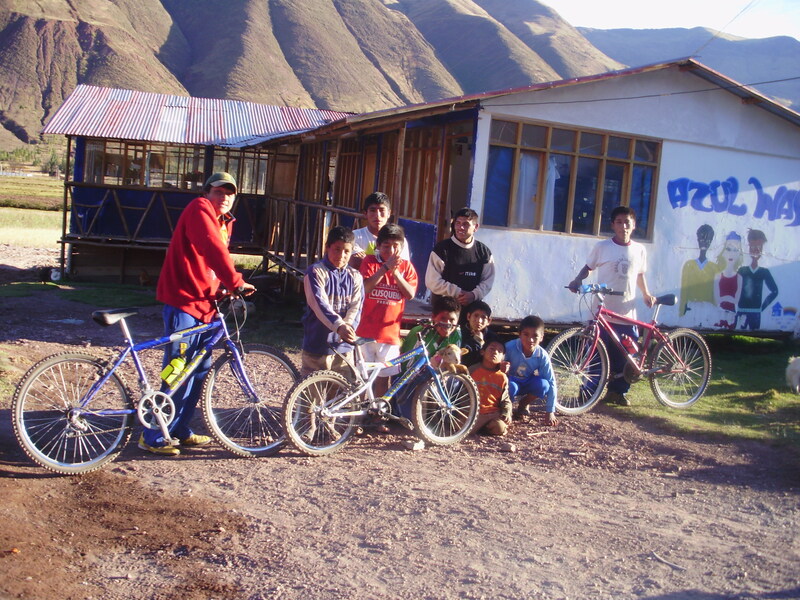 The project Colibri home (former Azul Wasi type project) for boys was established in early 2003, allowing up to 15 boys to restart their lives. 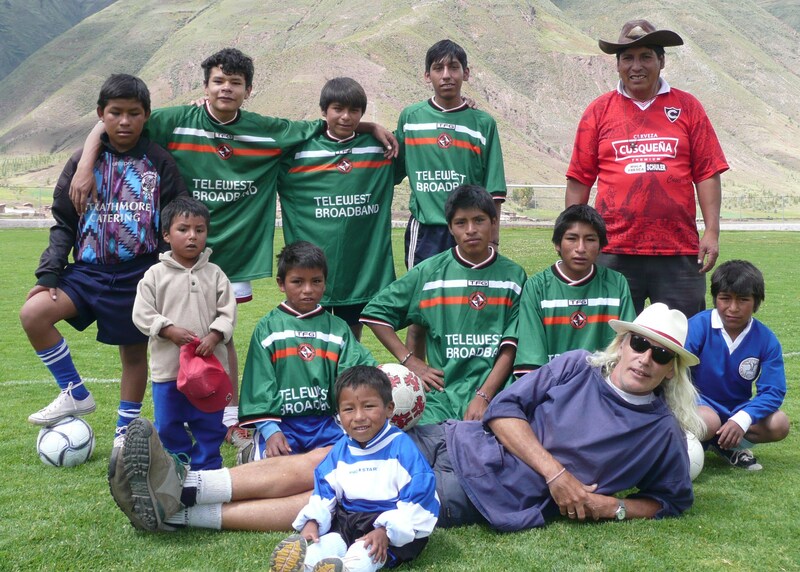 Sadly this project came to an end in 2006, however Alcides secured funding from a UK based charity to purchase new land and the Azul Wasi project opened in early 2008. 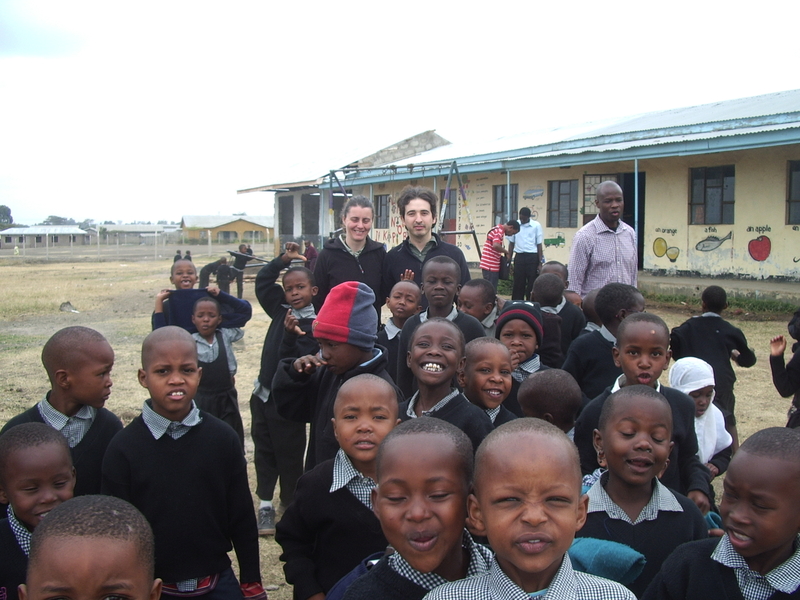 The project has a number of buildings, animals and a greenhouse and houses 20 boys currently ( aged 8 to 22). Profe Davide, Alcides and Anastashia (the cook) look after the boys. A number of other supporters and volunteers are also involved. There are also some links between schools in Dundee and the project. Latin Quarter has raised just over £100, 000 ( as of September 2018) for Azul Wasi, money goes via UK charity Peace Child International and £6, 000 for other charities, see below. See the link below for more information. If you would like to contribute in anyway for example, there are Azul Wasi vouchers which can be purchased , varying amounts ( see link) or donations can be made. If you would like to find out more please contact Sarah in Dundee, at LQsalsadundee@gmail.com. 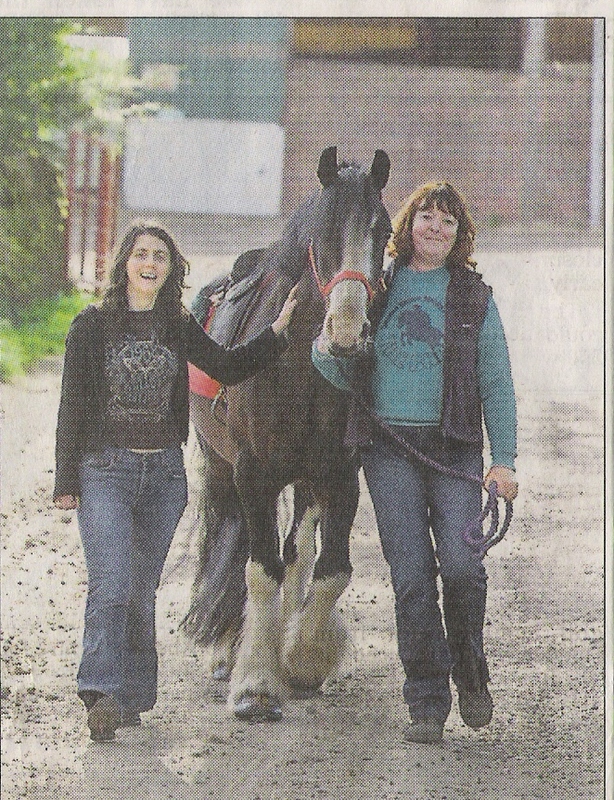 In the early days of fund raising for this project, salsa nights over an 18 month period raised £1345 in 2003 which bought a horse called Salsa for the project which opened a few years later. This project captured hearts on a holiday in 2009. £208 was raised in Feb 2010. 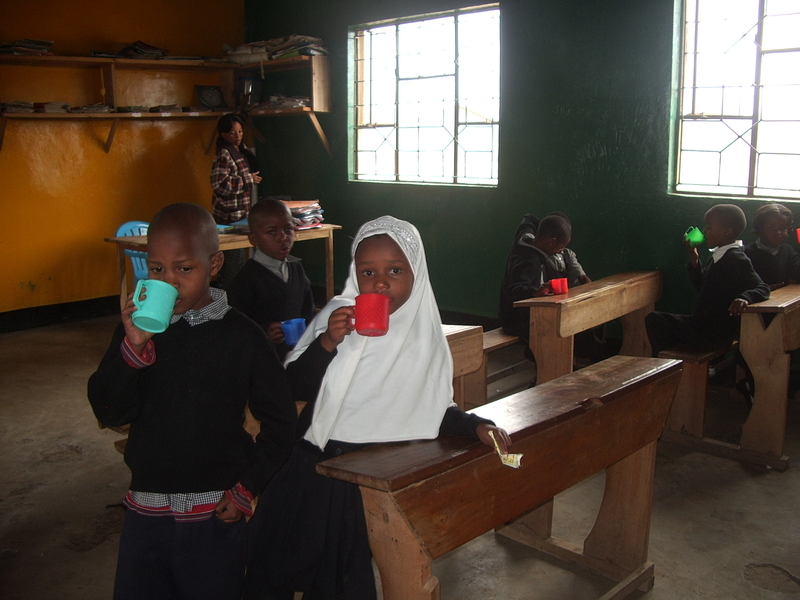 The children have recently lost their home due to rent increases and are rebuilding it on the school site. A number of other charities were supported in 2004 raising a total of £1,409 for Barnardos, World Vision, Epilepsy Reasearch Foundation, Caring for Kids, the Jean Drummond Adult Resource centre, and Children First. In 2005, £200 was raised for Water Aid and £454 for the Tsunami Earthquake Appeal. Money was also raised for the South Kolkata women & children project via Soroptimist Intermational and for the Hilton Community Foundation.